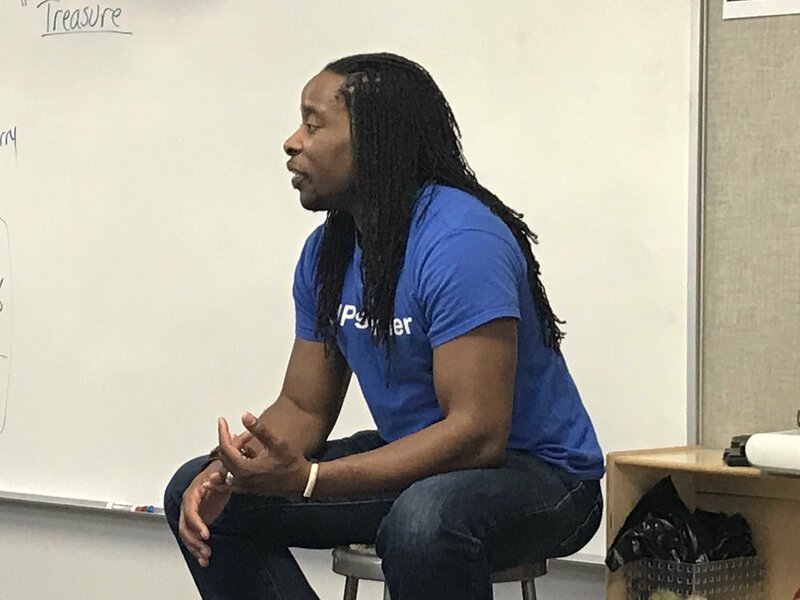 The sixth grade welcomed Dr. Omekongo Dibinga – poet, musician, and professor. He spoke with us about the damage being done to people in the Democratic Republic of Congo (DRC) in the world’s quest for minerals to use in cell phones and other technology. Students were able to hear him perform, as well as to interview him about his work and the conflicts in the DRC. We will continue exploring ways that they, as sixth graders in Philadelphia, can help end these conflicts.